Rita Ora is a British born singer who rose to fame back in 2012 when she featured on DJ Fresh’s single ‘Hot Right Now’. 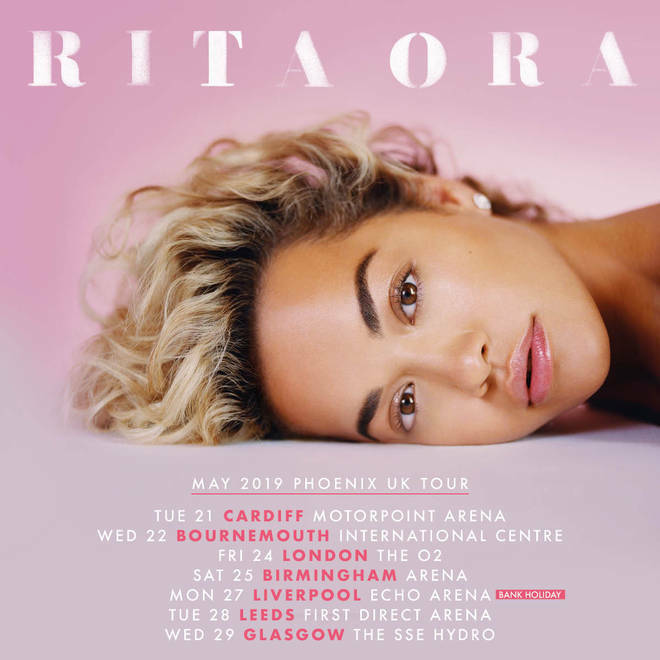 Following up from the hit Rita released her debut studio album “Ora” and landed number one in the UK. She recently announced that her second studio album “Phoenix” will be released November 23rd featuring her leading single ‘Let You Love Me’ which is currently pushing 63M views on YouTube. The single has even charted at number five in the UK Top 40. Rita also expressed that this Album is very close to her heart by saying “This Album is a true labor of love, and it was important for me to do it my way.” She went on to show appreciation to everyone that showed support and helped her create something that she’s very proud of. Tickets go on general sale this Friday. The dates are below. Until then keep your eyes out for the Album and listen to her leading single down below.